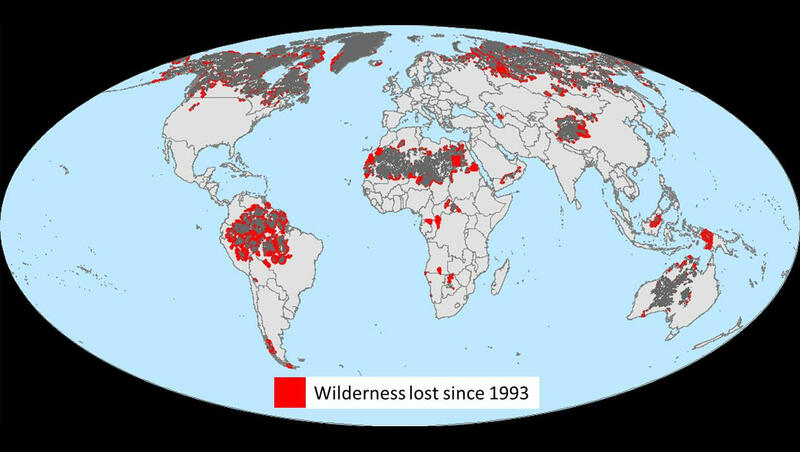 It’s a bleak revelation — a new study reveals that about a tenth of the Earth’s wilderness has been lost since the 1990s. Over the last 20 years, a total area half the size of the Amazon and twice the size of Alaska has been depleted. The researchers behind the study, published in the journal Current Biology, say they hope that the sobering revelation that rich natural habitats like the Amazon have been decimated in a relatively short amount of time will act as a wakeup call to global leaders to emphasize conservation efforts in their environmental protection policies. When asked why these important, at-risk areas haven’t been better protected, study lead author James Watson points the finger at government leaders around the world. “Put simply — no international treaty talks about the importance of wilderness or has any targets that nations must follow that limit their (wilderness areas’) loss,” Watson, an associate professor at the University of Queensland in Australia, wrote in an email to CBS News. The study shows that, right now, only about 23 percent of the world’s land area remains wilderness. The majority of this wilderness is found in North Asia, North Africa, Australia, and North America (primarily in northern Canada). Since the 1990s, the area that has witnessed the most wilderness loss has been South America, which has seen a 30 percent decline. Africa follows, with a 14 percent decrease in wilderness area. Venter praised “grassroots movements” for raising awareness of the wilderness’s importance. “What can happen in the near-term is to encourage major policy mechanisms to actually speak to wilderness values and wilderness protection. Speak to your local officials, make sure you can set values on wilderness preservation​ that can occur through actual policy, where we set targets for wilderness protection areas,” Venter added. Watson said that it is crucial to keep clear that deforestation, pollution, the impacts of climate change​​ — all of the various factors that contribute to habitat loss ultimately have a negative effect on future generations. These wilderness areas and accompanying wildlife could be lost for good, ultimately impacting the communities that depend on these natural resources, Venter said.